” President Donald Trump’s Week 6 in Office – Highly Polished and Resipiscent Individual in View ” – February 27 – March 3, 2017. 1. Attorney General Jeff Sessions recused himself from ovrseeing the investigations into contacts between Trump camapaign aides and the Russian government officials. This is the second setback in 42 days for the Trump government giving the happenstance further to his opponents. 2. Recognition for President Donald Trump’s address to the Congress ran high. Over 3 million tweets followed his address – a record for a Presidential address. 3. Lawmakers face a challenging task ahead to craft the health plan demanded by the President. 4. President Donald Trump is open to a plan granting legal status to millions of undocumented immigrants reflecting his examination of soft options for complex and challenging issues. A perceptible change from his campaign style obduracy. 5. 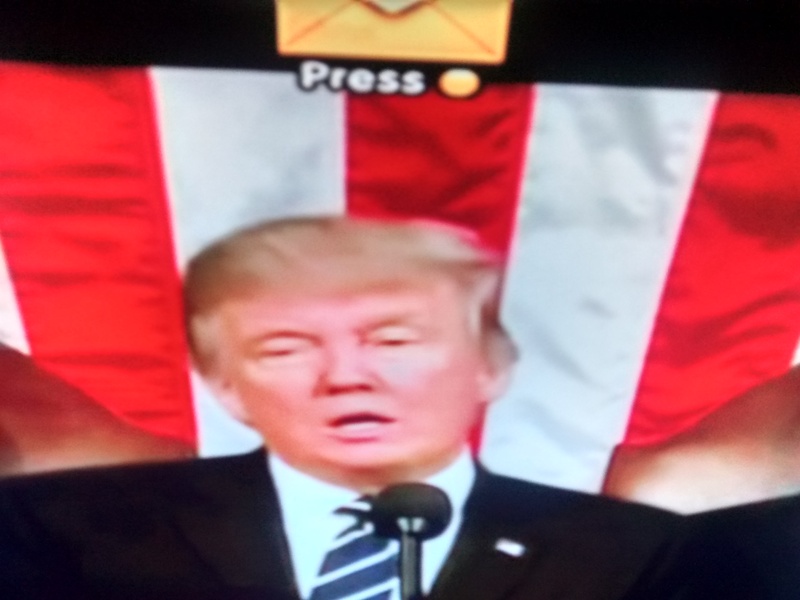 Education is a ‘civil rights issue’ – emphasised President Donald Trump in his address to the Congress. 6. President Donald Trump skipped the White House Correspondents’ dinner. 7. Gov Rick Perry confirmed by the Senate as Energy Secretary. 8. Dr Ben Carson confirmed as the HUD Secretary. 9. Former Montana Congressman, Ryan Zinke, is the new Interior Secretary. 10. German Chancellor, Angela Merkel, is to visit White House in mid-March. A majority seem to complain and criticise that President Donald Trump’s “assumptions” of the prevailing situation in the country as reflected in his oft-quoted observations/comments since his plunge into the active political arena in June 2015 – “Our Trade deals have been a disaster”; ” Our military needs strengthening”; “Our fight against ISIS has been weak”; ” Our Healthcare needs revamping”; “Our infrastructure is crumbling”; ” Our workers have been neglected”; ” We are losing out on our jobs”; ” Climate change is fabricated and not real” – smacks of negativity, and are not substantiated with facts and science. Anyone who shares and subscribes to the above may be ‘correct’ in many measures; but as a common man I visualise a “positive” even among the so called inaccuracies above. 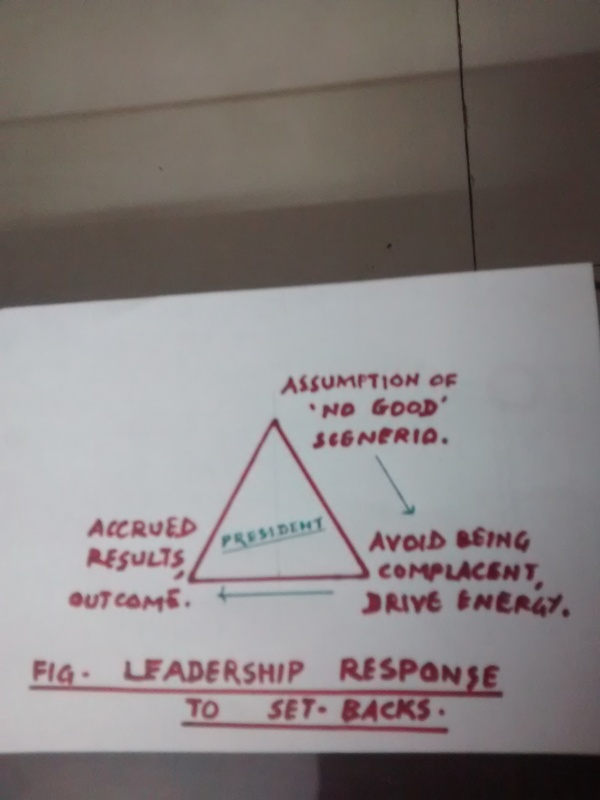 That is : President Donald Trump realises that things are not sound and desirable in the country, and that affords the high potential to avoid complacency and to drive his team & personnel for better results/outcomes. Imagine having a malfunctioning or faulty component in an electrical gadget and what it can do to its performance. This probably is what President Donald Trump regarded as a serious deficiency and aims at restoring and rejuvenating economic growth. It is quite in sync with studies revealing the better side of negative ‘assumptions’ in making the conditions suitable for people. He may have, if one can make a declaration of facts, possibly erred in his assessment of the type and strength of the forces, political or any other, that impact the actions taken/to be taken and the persistent needs of periodic and factful ‘feedback’ in a way he can work on programs by finetuning appropriately for any relaunch. Feedback is effective guidance without dictating. As has always been the case in trying to bring about a ‘change in culture’ of work, greater than 60% of effort should go into making a strong imprint, understanding, and support of a majority of people for all his programs. This is what effective communication of his intent and plans are all about. The one possible shortcoming that surfaces evidently is that, just as any businessman will strive hard to retain the existing customers even while attempting to gain new customers, President Donald Trump is trying forcefully/committedly to retain his base of voters perhaps at the cost of losing new voters by his statements. His actions this week including his address to Congress tempts one to change the above perception and that is more than welcome. Conclusion : The setback at this stage cannot be construed as a sign of the government moving backwards as many would wish. It, nevertheless, reflects the possibilities of ensuing conflicts in policies amplifying the challenges greater than before in future. The President has his task cut out clearly. That is to keep the parties balanced happily affording the carrots in more cases and be unyielding in other cases. Plain commonsense and obvious, one may regard. If this is not anything new, what is happening and what many say or wish will also be as old as hills. Tidbit : ” Jeff Sessions is a honest man; he didn’t say anything wrong” – President Donald Trump.